.... To celebrate this historic milestone, we’re giving away the ESV Study Bible Web App for FREE through the end of November. 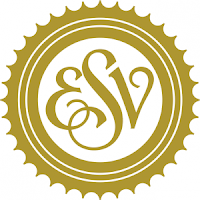 This award-winning resource features the study notes, maps, charts, illustrations, and theological articles found in the print edition—all integrated into ESVBible.org’s easy-to-use web interface. To receive FREE access to ESV Study Bible Web App, please visit Crossway.org/75th. Finally, be sure to share this limited-time offer with your friends, families, and neighbors so they too can go deeper in their study of God’s Word. I downloaded the Kindle edition. You also gain access on your bookshelf at the Crossway site.